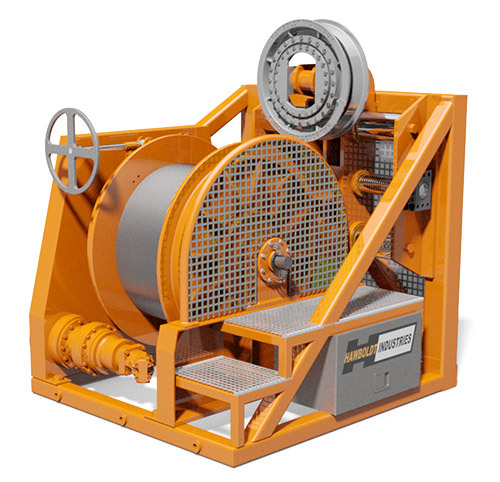 Hawboldt Industries is pleased to design winches which meet the stringent UNOLS safety requirements. The main purpose of the design is to increase operator and crew safety as well as increase the life of the wire. All components of the winch must be designed to survive the break strength of the tension member. The main features of the winch include: increase sheave diameter, exact tension monitoring and the capability to record all data. The UNOLS compliant winch is a great option even for non UNOLS vessels. UNOLS (University-National Oceanographic Laboratory System) is an organization of 62 academic institutions and National Laboratories involved in oceanographic research and joined for the purpose of coordinating oceanographic ships’ schedules and research facilities.